The first stage of construction for the Inland Rail Project is set to begin following a $300 million funding grant. A partnership between Fulton Hogan and BMD Constructions announced that they will deliver the Parkes to Narromine section of the 1,700km Inland Rail project. The construction is predicted to boost local economies and gross state product by $2.6 billon, as well as create approximately 16,000 jobs. Transport Minister Michael McCormack states the Inland Rail Project will be extremely beneficial for Australian communities. "Inland Rail is a transformational freight rail line and we're already seeing millions of dollars in Australian Government investment making a difference to communities," Mr McCormack said. The Inland Rail Project will transport freight between Melbourne and Brisbane, making it easier to connect cites, mines, farms and ports to domestic and international markets. The Department of Infrastructure and Regional Development states that "Australia's capacity to remain competitive in the modern, global economy relies on its ability to move produce from paddock to port and deliver freight that is available when the market wants it." "With Australia's freight task expected to approximately double by the year 2030, we must act now to effectively meet the freight transport needs of the nation." When complete, it is estimated that 2 million tones of agricultural freight will be taken off the roads and put onto rail. 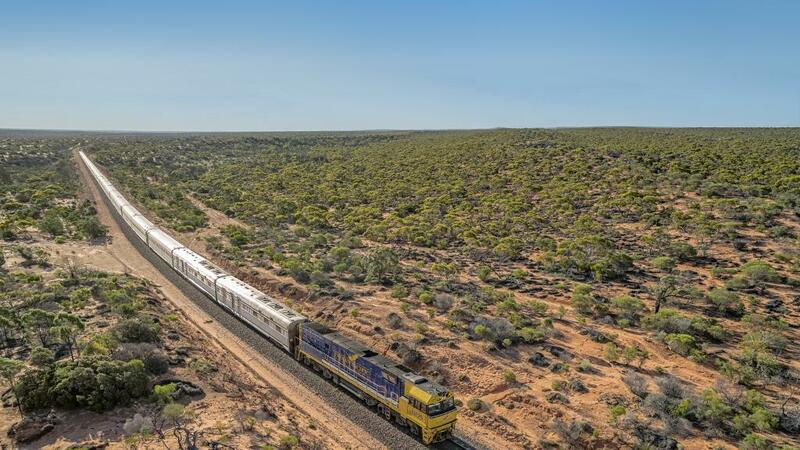 Chief Executive of The Australian Rail Track Corporation states that the sheer volume of goods transported daily makes the Inland Rail Project more necessary than ever. "One 1,800-metre train, double stacked, operating between Melbourne and Brisbane is equivalent to over 100 B-double [trucks]," he said. "So, to me that should tell people what the benefits of rail is, compared to road, when you can take those trucks off the road, reduce congestion and improve safety." Over the next 12 years, the volume of freight travelling from Melbourne to Brisbane is expected to double by 8 billion tonnes. At present, freight trains using the costal route takes 32 hours from Brisbane to Melbourne via Sydney. The Inland Rail line is set to reduce this travel time to under 24 hours.